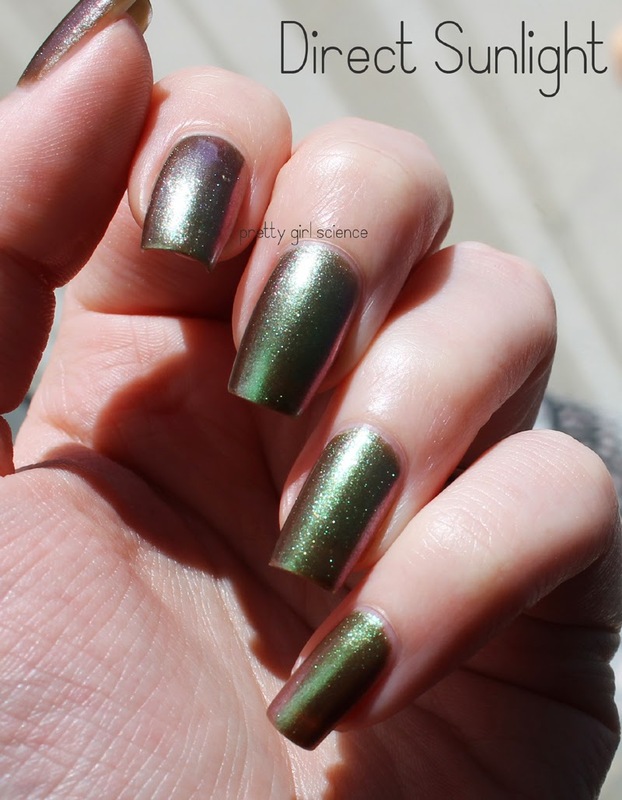 I had completely forgotten about Amanda's post on this polish. (How dare I!) When I saw this one, I snatched it up immediately. It is delicious. Amanda already reviewed it pretty thoroughly, so I'm not gonna rehash it...except to say that I had no trouble with shrinkage of any sort, and Seche Vite is my go-to topper. Sometimes, I think polishes just like to torture her. Anyway, enjoy the spam as I try to capture the shifty! 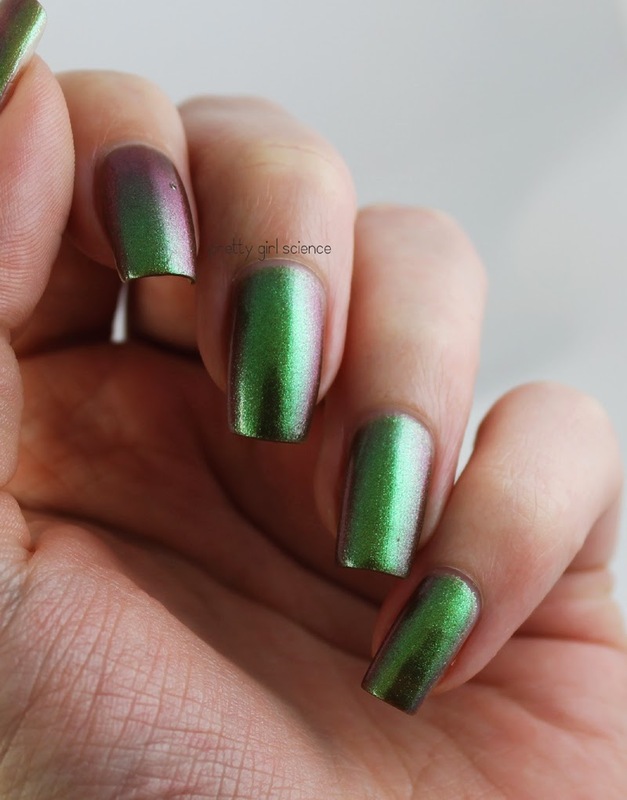 Do you know any dupes for this one? Also, your nails are gorg. I'm so jealous of that length and your squared tips! hmm, I don't know of any dupes. Amanda might? And thanks! I shortened them a bit after this...they were at the "poke a kids eye out" length and I gave up! 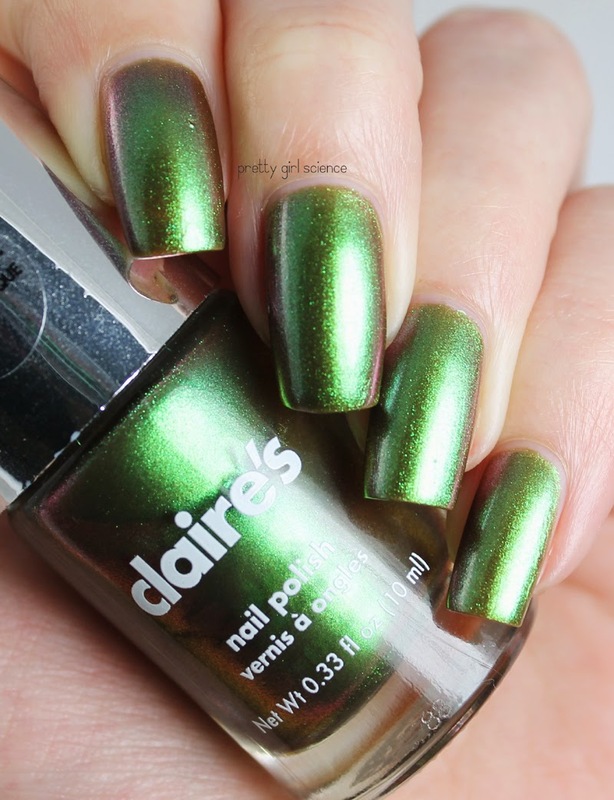 Not sure how close a dupe, but this really reminds me of OPI Green on the Runway from the Coca-Cola collection. that might be the closest. 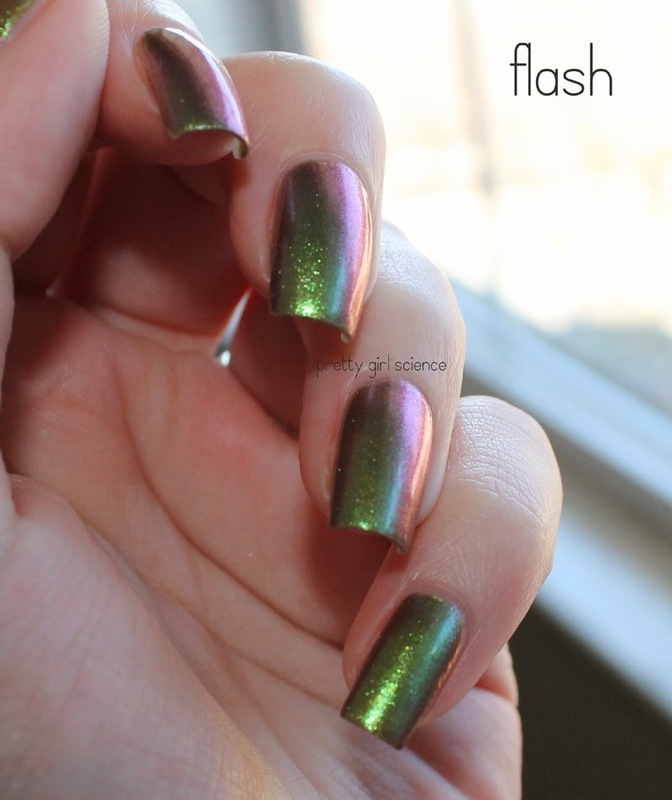 From the swatches I'm seeing, Green On the Runway is darker, and doesn't quite have the same shift.